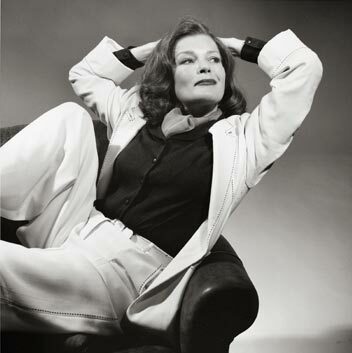 SAN FRANCISCO, Calif. – Kate Mulgrew will star as legendary actress Katharine Hepburn in Matthew Lombardo’s TEA AT FIVE, a one-woman play directed by John Tillinger, in a limited three-week engagement at San Francisco’s Marines Memorial Theatre, June 2-19, 2005. Produced by The Lombardo Organization and Paul Morer, TEA AT FIVE will begin previews Thursday, June 2nd, with a press opening on Tuesday, June 7th at 8:00 p.m. Tickets are on sale now at the Marines Memorial Theatre box office, by phone at 415-771- 6900 and at ticketmaster.com. The critically-acclaimed TEA AT FIVE follows Hepburn’s ascendancy from her well-heeled Yankee upbringing in Hartford, Connecticut to becoming a four-time Oscar-winning actress and a legend forever to be remembered. Ensconced at her beloved Fenwick home, Hepburn reflects on the dizzying heights and emotional lows of her childhood days, adventures in show business, and her heartbreaking romance with Spencer Tracy. Lombardo’s play reveals Hepburn as an undeniable talent who is equal parts witty and fiery, and one of the 20th century’s greatest film stars. After a seven-year run as Captain Kathryn Janeway on UPN’s “Star Trek: Voyager,” Kate Mulgrew returns to the stage to portray the four-time Academy Award-winner at opposite ends of her peerless career. Mulgrew’s performance has garnered a 2003 Outer Critics Circle Award nomination for Outstanding Solo Performance, a 2003 Lucille Lortel Award nomination for Outstanding Actress and a 2004 Carbonell Award for Best Actress. She made television history by creating the role of Captain Kathryn Janeway on “Star Trek: Voyager,” the first female commander ever to guide a Star Trek vessel. For her performance, Ms. Mulgrew received a 1998 Golden Satellite Award for Best Performance by an actress in a Television Series and a Saturn Award for Best Genre TV actress. Born and raised in Dubuque, Iowa, Ms. Mulgrew was the oldest girl in a family of eight. At age 17, she traveled to New York City in order to study with acting guru Stella Adler and soon created the unforgettable role of Mary Ryan in “Ryan’s Hope” while simultaneously making her stage debut as Emily in the Stamford Shakespeare Festival production of Our Town. Other television credits include leading roles in “Mrs. Columbo,” “Kate Loves a Mystery,” “Heartbeat,” “Cheers” and a guest appearance on “Murphy Brown” for which she won the Tracey Humanitarian Award. No stranger to motion pictures, Ms. Mulgrew starred in several feature films including Love Spell: Isolt of Ireland (with Richard Burton), A Stranger is Watching (with Rip Torn), The Manions of America (with Pierce Brosnan), Throw Momma from the Train (with Danny DeVito and Billy Crystal) and Remo Williams: The Adventure Begins. A veteran of numerous theatrical productions, Ms. Mulgrew is most happy to return to the stage, having made her Broadway debut in the Peter Shaffer play Black Comedy (with Nancy Marchand and Peter MacNichol). Other stage credits include starring roles in The Royal Family at the Ahmanson Theatre, Titus Andronicus at the NYSF Delacorte, The Film Society by Robert Baitz at L.A. Theatre Center, What the Butler Saw at La Jolla Playhouse, Hedda Gabler and Measure for Measure at the Mark Taper Forum. TEA AT FIVE is written by Matthew Lombardo, who received the IRNE Award for Best Solo Play for Tea at Five. Other Off-Broadway credits include directing the hit comedy End of the World Party at the 47th Street Theatre, Mother and Child at the McGinn/Cazale Theatre, and Guilty Innocence at the Actors’ Playhouse, serving the latter two productions as both Playwright and Director. Regionally, he directed the 20th anniversary production of Torch Song Trilogy (American Stage Company) and the Los Angeles premiere of Mother and Child starring Tony Award winning actress Ann Wedgeworth (Coast Playhouse). Having written for the television series “Another World,” Mr. Lombardo garnered a Writer’s Guild Award Nomination for Outstanding Achievement. Other plays include The Kennel Club, House of Atreus, and he is once again collaborating with friend and mentor John Tillinger on a new project entitled Looped, which he is currently writing for actress Elizabeth Ashley. TEA AT FIVE is directed by John Tillinger, whose credits include: Broadway: Say Goodnight Gracie; Judgment at Nuremberg;Night Must Fall; Getting and Spending; The Sunshine Boys; Inherit the Wind (Tony nomination, Outer Critics Circle Award), Broken Glass; The Price (Tony nomination); Three Men on a Horse (OCC nomination); Sweet Sue; Loot! (OCC Award, Tony nomination); Corpse! ; The Golden Age; Solomon’s Child. West End/London: What the Butler Saw; Love Letters; Corpse! Off-Broadway: House and Garden; Comic Potential; Dealer’s Choice; Sylvia; A Perfect Ganesh; The Last Yankee; Lips Together, Teeth Apart; After the Fall; Breaking Legs; The Lisbon Traviata; Prin; What the Butler Saw; Love Letters (Lortel Award); Urban Blight; The Film Society; Another Antigone; Little Murders; The Perfect Party (OCC Award); It’s Only a Play (Drama Desk nomination); Serenading Louie (Drama Desk nomination); Entertaining Mr. Sloane (Drama Desk Award). TEA AT FIVE features scenic design by Tony Straiges (Sunday in the Park With George), costume design by Jess Goldstein (Love! Valour! Compassion! ), lighting design by Kevin Adams (Take Me Out) and sound design by John Gromada (Proof). TEA AT FIVE will play 19 performances only at San Francisco’s Marines Memorial Theatre (609 Sutter Street, 2nd floor) Thursday, June 2 through Sunday, June 19, 2005. The performance schedule is: Tuesday – Friday evenings at 8:00 p.m., Saturdays at 2:00 and 8:00 p.m. and Sunday matinees at 2:00 p.m. Tickets range in price from $38-$58. Reduced-price previews (June 2-5) are $35 for all seats. Tickets are now on sale at the Marines Memorial Theatre box office, by phone at 415-771-6900 and at ticketmaster.com. Tickets are also available at all Ticketmaster outlets.